Yesterday afternoon I was building the frame to my greens drying table, I was just about finished with the frame when I decided to add corner brackets to give the frame more strength. On the last corner bracket, I was cutting the table saw kicked back on me. 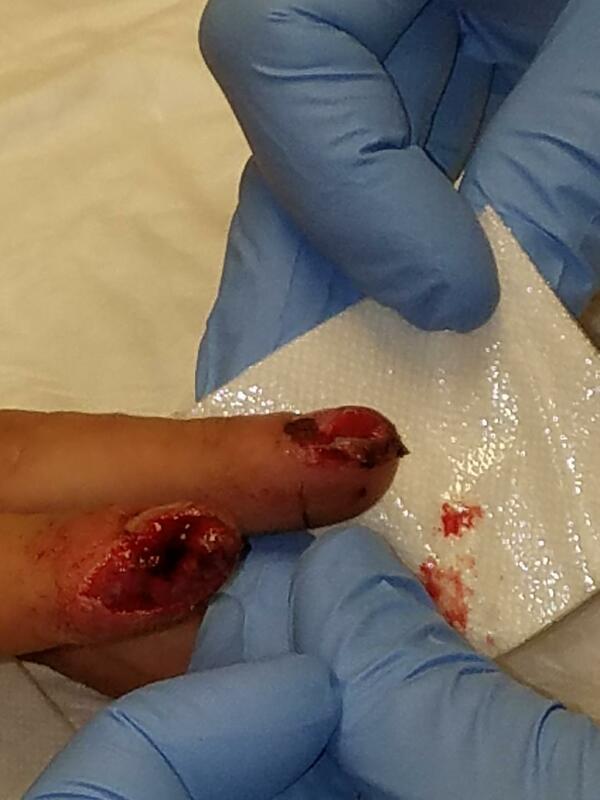 The wood went flying out of my hand hit me in the stomach and two of the fingers on my left hand hit the saw blade. I spend the rest of the afternoon in the ER. My left index finger got it the worst, just missing the bone but not by much. I was lucky that the saw didn’t do more damage. 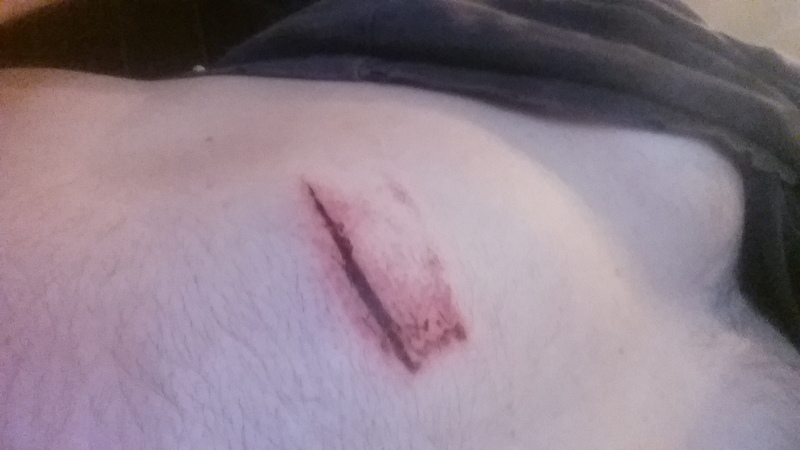 When the board I was cutting flew back it gave me a nice bruise and a cut across the stomach. Of course I’m down to typing with one hand. Now I’m down to one hand which is going to make it tough to finish some of the projects that I’ve been working on. The drying table for greens needs to be finished, got to finish plumbing in my wash sink and the air pump that will churn the wash water, and I was building two fish tank heaters. The heaters just need the thermostats installed when they come in, the they will be done. I think it will be a while before I get to finish the wash sink and drying table. I found an awesome way to spin lettuce after it has been washed. Jean-Martin Fortier uses a washing machine that has been modified to hold a basket of greens. It’s the most economical salad spinner I have ever seen. For about an eighth of what it would cost to buy a salad spinner the same size you can modify a washing machine to do the same. I can’t wait to try this out.